The supplement industry is a confusing industry to say the least. But two criteria to look at is guaranteed purity and potency. 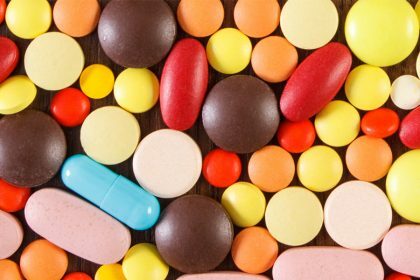 Since naturally occurring vitamins, minerals, and herbs cannot treat disease (according to the Food and Drug Administration) they are not considered drugs. Therefore, they are not regulated by the FDA (or any government entity). The unregulated industry of vitamins, minerals, and herbs (which will be referred to as supplements) means that anyone or any company can throw together a proprietary blend of “stuff” and call it a supplement. They do not have to guarantee what is on the label. That lack of regulation, I think, is at the heart of why supplementation is sometimes seen as a waste of money and doesn’t help. The general public is not getting what they buy with certain products/product companies (if they do, not at the correct dosage). Policies are regarding supplementation regulation are changing, but in the meantime, there is a third-party certification that help distinguish reputable companies from being garbage. Good Manufacturing Practice (GMP or cGMP) means that there is at least a minimum standard of the amount of product that goes into a supplement, guaranteeing a minimum potency. That minimum potency guarantees what you buy has at least what is said on the label. The problem with the GMP certification is that there could be varying amounts of product in a supplement, but they both meet that minimum. Generally, higher-quality products and companies tend to have very consistent products that go into their supplements, so that you know what you are going to get every time you use that supplement. Along with that minimum potency guarantee, the GMP certification also guarantees that the supplements you are getting are free of microorganisms, pesticides, and heavy metals contamination. With certain processes, there are chances contamination can occur. For instance, in 2010 Muscle Milk had cadmium, lead, mercury, and arsenic at low to moderate ranges. This was found in most of the drinks. I was unable to find out if that contamination came from the product formation process or if it was from the raw ingredients they used. My guess, since it was heavy metal contamination, is that it was the product formation process is what did the contamination. Having this certification helps make sure that someone taking a certain supplement won’t get ill from it. There have been occasions in the past that companies with this GMP certification has had products contaminated. This however is rare and the companies recall the appropriate supplements and correct their mistake. 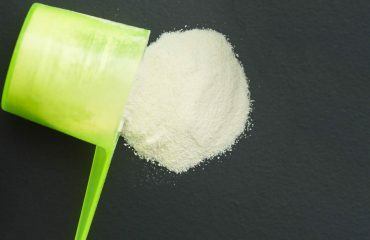 The last thing that is important for purity and potency for your supplement is what form the vitamin or mineral is in. Forms of vitamins and minerals differ in the way they are absorbed and utilized, meaning they differ in bioavailabilty. Another key concept that often gets overlooked is consuming the correct macronutrient with a particular supplement. For example, if you are taking Vitamin D3, you should eat something with fat to help absorb Vitamin D3, which is fat soluble. There are ways around that, like for fat soluble vitamins they can be in an emulsified form. That way you don’t have to consume fat with that supplement, however, they are often times more expensive. I plan on creating a blog in the future to include a table chart of the hightest bioavailable forms of each vitamin and mineral. Bate R and Attaran A. Counterfeit drugs: a growing global threat. The Lancet. 2012; 379: 685.